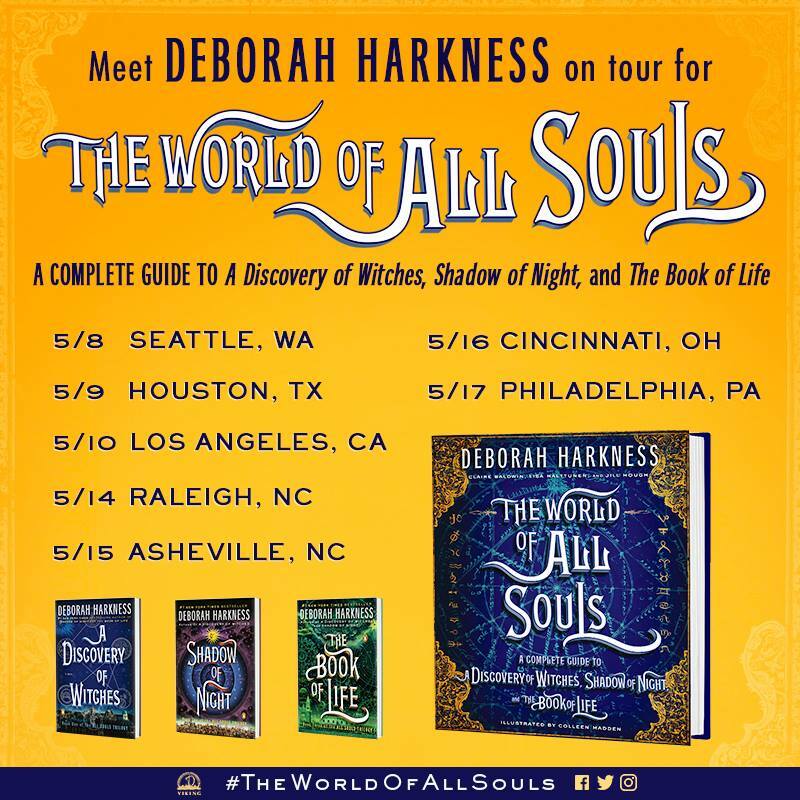 US TOUR SCHEDULE for THE WORLD OF ALL SOULS, an insiders guide to the trilogy! Save the date. Full details (times, bookstores, etc.) in the coming days on our news feed and in our calendar. See you in May!